Offshore Company Corp was established with specialised services for incorporation and support services, such as banking support, virtual office and local phone. We are proud to offer our customers the best, convenient services, solutions and products, with over 32 branches, representative offices and associated companies in 25 countries around the world. Confidentiality is one of the most important aspects of our work. We guarantee the privacy of our customers through three key components. Our website is completely secure. The data our customers enter on our websites is encrypted using SSL 128-bit certificate encryption. Our IT infrastructure at our offices is fully secure in order to prevent any unauthorised access. Our customer database cannot be printed or exported. So, all the confidential data or personal data of our customers is strictly confined to our offices. Our pricing commitment relies on two major principles – be among the most competitive and never increase fees. With holding offices or partnerships in most of the jurisdictions where we incorporate companies, we are able to offer prices that are transparent, intermediary-free and among the most competitive. Our clients are well taken care of. A dedicated account manager, specialised in the field of company law and administration, will be your point of contact during the year and will assist you with your company administration, bank account and any other services that we offer. We are committed to always replying to our clients' concerns within one business day. For the best interests of our customers, we aim to provide the best business standards in a practical and legal way. 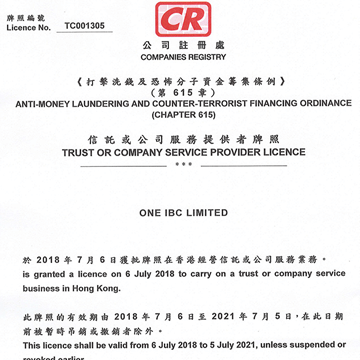 Being mindful of the laws and regulations on the prevention of international money laundering, we implement strict risk-control procedures and balances. Our methodologies have been proven across markets around the globe. No matter where your business takes you, our consultants have first-hand experience and a keen understanding of your industry's local and international dynamics, so we can help you think ahead and gain a competitive advantage as you expand your business around the world. We have the processes and expertise to solve your business's most complex problems, help you reduce risk, and gain a competitive advantage. We consistently make the best use of our collaborative teams of experts – including researchers, engineers, consultants and business partners – to create innovative solutions that give your business an edge. We take a long-term view and ensure that any solution we put in place today will efficiently meet your needs while providing the tools to carry your business into the future. We draw from our years of experience in developing business and solutions to help you implement the agile, integrated systems and processes that will help your business run leaner and smarter as it continues to grow. Over 7 years of growth, One IBC limited has tripled its development in customer and incorporation services, all thanks to the dedicated leadership and vision of Mr. Jimmy Lee, the Founder of One IBC. At his early stage, he has envisioned a scalable business with a strong network between partners and his regional offices. Along with his expertise in customer service, he also developed a healthy relationship with international partners and which later fall into plan with the company's global strategy. Jimmy specializes in Incorporation services, management and leadership, partnership development and global strategy. 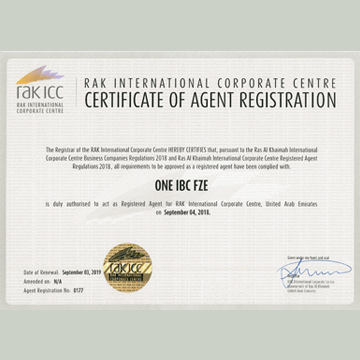 All together bring the success that One IBC has today as one of the best Incorporation service provider in the world. As Chief Operation Director of One IBC limited, he is expert in offshore incorporation, financial services, and corporate services. Under his dedicated leadership, the teams have developed exceptional in customer services and knowledge base in many jurisdictions. Didier is committed to ensure daily operations running smoothly and on track with the BOD’s vision. He also pursuits in Compliance and Risk Management, which he is constantly informed about any changes in policies that might affect the business and his clients. Together, he contributes to build a strong and compliant business codes with transparencies in every process. Irene graduates from the Harvard Business School, and hold a prestigious Economic Degree. Combining his knowledge from Harvard studies and her extensive experiences with multinational clients, she has promoted growth and pursuited opportunities within the global business market. Since 2010, she joined One IBC as Chairman and contributed to the overall strategic plans. Her valuable assets are her vast insights of the challenges, prospects and competitions on the international stage presented by emerging markets and new technologies. Thanks to this, One IBC and its Board of Director have an international overview on what opportunities to conduct business, what risk should be mitigated, and what will be the future for the company. When mention about Financial Services and Tax strategy, Sze Chung Lee is always recognized. He joined One IBC Limited in 2010 and hold a Certificate of Certified Public Accountants from the Hong Kong Institute of Certified Public Accountants (the “HKICPA”), which the license no. is P03508. He also served as Deputy Managing Partner for our EMEA Area and has been responsible for delivering EMEA's markets agenda since 2011. He leads our team for all aspects from Compliance, Auditing, Tax strategy and other Finance & Audit services. In today's ever-changing tax environment, he committed to ensure our promptly and consistent services to all clients worldwide. 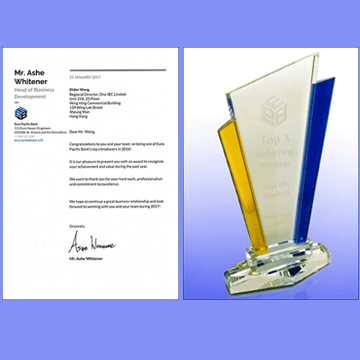 His exceptional advice and strategic tax planning have help many our clients achieve their business goal whether to optimize tax, maximize investment, and/or stay compliant to different jurisdiction policies. Frank Ong leads our Asia regional partner, our team that supports customers to transform their business performance, while also managing risk and monitoring improvements, so they can maintain their performance over time. Frank joined One IBC Group in 2009 and was appointed Asia regional partner practice, where he led the development of the solutions, methods, tools, learning and knowledge infrastructure. Frank has many years of client-service experience and worked with a number of major clients. Yanty joined One IBC Group in April 2010 and in 2016 was promoted to Corporate Services Manager in Singapore and Asia region. 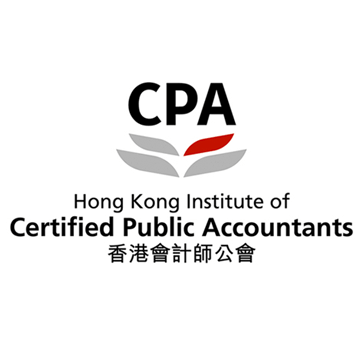 She holds a Certificate of Certified Public Accountants (CPA) from the Hong Kong Institute of Certified Public Accountants (the “HKICPA”), which the license No. is 10655561. She owns Chartered Secretary No. 4043338 is both for the United Kingdom and Hong Kong. She has responsibility for managing a wide range of corporate strategy, consulting and strategic business development in the offshore corporate industry for clients globally. Besides, she has a year of experience in advising on corporate legislation, practice and procedure, managing, mentoring and training more junior corporate services professionals to help our clients get the best from our services in managing good their company in the international market. Joining ONE IBC in 2016, with deep knowledge of international incorporation procedure in various countries, Jenny plays a crucial role in staff orientation and development of Formation Department of One IBC. She always updates latest changes and regulations from Company Registrars, Governments in order to provide clients prompt and valuable services. ONE IBC values Jenny's outstanding contributions and thorough knowledge which make her one of the most brilliant managers and the brain of the incorporation services. Lisa Huang is a Senior Advisor Manager with ten years of experience in entrepreneurship, management, business & tax planning, financial analysis. She has the breadth and depth of experience & knowledge of consulting clients with all types of business activities for incorporation, tax planning or other related matters to quickly understand entrepreneurs' businesses and craft the most suitable solutions in optimizing benefits of business. As an Expert with skilled thoughts, successful experience in instructing and working with thousands of clients around the world.to offer helpful business structure, She has been supporting successfully to meet all requirements from clients in different scope of services, She is proud of being as an extremely accomplished Specialist in solving all problems and finding the best business solutions to improve entrepreneurs’ efficiency. Alex Ph, is one of our enthusiastic members, who is a leader of our banking team. She can be considered as an energetic, proactive individual, hence, she is chosen to take responsibilities to drive a group of dedicated people to support clients to solve their international payments problem. Dominic Vu is one of our dedicated members and leads our Global Advisory practice. He can be recognized as our “business magician”, since his main responsibilities are supporting customers to transform their overall business performance. He has joined our company since 2008, and led the development of the solutions, methods, tools, learning and knowledge infrastructure. He has keen eyes to identify weakness and key problems that occurring on the daily basis. His expertises also expand further by reviewing the potential risks and monitoring business improvements. 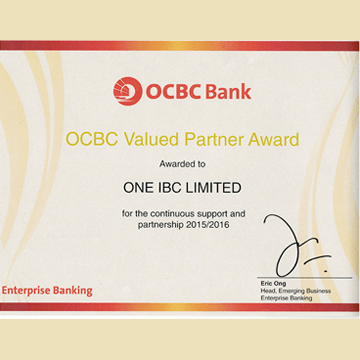 One IBC itself and its clients’ business can sustain their performance over time are all thank to his contribution and advise. Brenda is the Manager responsible for Accounting and Tax Filing Department based in Hong Kong, she has been a crucial member of One IBC Hong Kong since 2015. The Accounting and Tax Filing Department aims to do bookkeeping, prepare annual financial reports and assist clients in filing tax. Brenda is a professional Tax Preparer with more than 4 years of experience in preparing and filing Tax Return as well as consulting customers with related tax matters. She also acquires excellent customer service and strong ability to communicate with different types of clients. Altogether, she has supported One IBC's clients in preparing and tax filing to comply with local jurisdictions. Hu Lee joined One IBC in October 2010 as the Chief Information Officer. 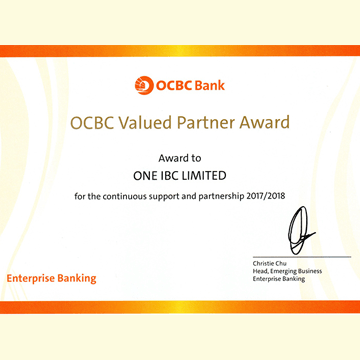 As the CIO, Hu is chargeable for the overall control of One IBC IT strategy and implementation globally, making sure One IBC has an international-elegance, incorporated IT infrastructure to meet the expanding desires of our clients. Hu has a track record in delivering digital transformation programs and has an extremely good record directing cross-functional international teams to deliver business strategy, purchaser solutions, innovation and profitable growth for global businesses in particularly aggressive digital, technological and commercial fields. His knowledge of mentality and manner of doing commercial enterprise, facilitate and make certain the smooth functioning of the coordination between the clients and the partners of the company for the supply of immigration, company incorporation, real property, financial and other corporate services.